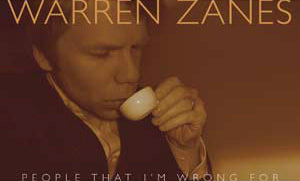 Warren Zanes’ second solo album was recently released on Nashville based Dualtone Records. The new album is a perfect follow-up to his previous solo effort, also available on Dualtone, “Memory Girls”. Warren has a knack for personal introspective songs recorded as dreamy baroque-style Beatlesque pop, with touches of Memphis soul (not surprising from a guy who wrote a book about the Dusty Springfield’s historic album, “Dusty Does Memphis”). In the eighties, Warren and his brother Dan were members of the Boston based college roots band, the Del Fuegos, and in recent years he has served as vice-president of education at the Rock and Roll Hall of Fame in Cleveland. He has been able to balance his academic, musical, and family lives, and excel at each. It’s not often that someone is both a talented musician, writer, and fan of music history, and has the opportunity to utilize his skills and appreciation in order to share with others a love of music.  I was truly happy to get a chance to help him out with his recent agreement with Dualtone, and also keep in contact regarding matters related to his activities at the Rock Hall. Last year I returned to Cleveland to attend the Tribute to Sam Cooke which Warren supervised, and was completely blown away by the job he did on the event. The new album was produced by Daniel Tashian, responsible for Zanes` previous record, and engineered by Brad Jones. The two, along with drummer Brian Owing (Will & The Bushmen, Buddy Miller, Pieta Brown) key man Gabe Dixon (Paul McCartney, Maura O`Connell), also handle much of the guitar, bass and backing vocals. In 1983, at the age of seventeen, Warren Zanes joined the acclaimed Boston band, the Del Fuegos. Making three records for Slash/Warner Brothers, the Del Fuegos toured internationally and relentlessly, emulating the hard-working rock and roll bands who were their inspiration. Robert Plant, Bruce Springsteen, Tom Petty and other music world notables recognized the Del Fuegos as being among the significant bands of the eighties. Groups including ZZ Top, INXS, Tom Petty and the Heartbreakers and the Kinks requested the Del Fuegos for the prestigious opening spots on their own tours. After leaving the Del Fuegos in 1989, Zanes entered academia. Over the course of a dozen years, he earned his Bachelors Degree, two Masters Degrees, one in Art History, the other Visual and Cultural Studies, as well as a Doctoral Degree in Visual and Cultural Studies from the flagship program at the University of Rochester. While publishing widely on topics related to music and the arts, Zanes also recorded a solo album, Memory Girls, which features appearances by Emmylou Harris and Patty Griffin. At Jakob Dylan’s request, Zanes toured the U.S. with the Wallflowers earlier this year. In September, Zanes’ book about Dusty Springfield’s legendary recording, Dusty in Memphis, will be published by Continuum books, the culmination of a busy year.